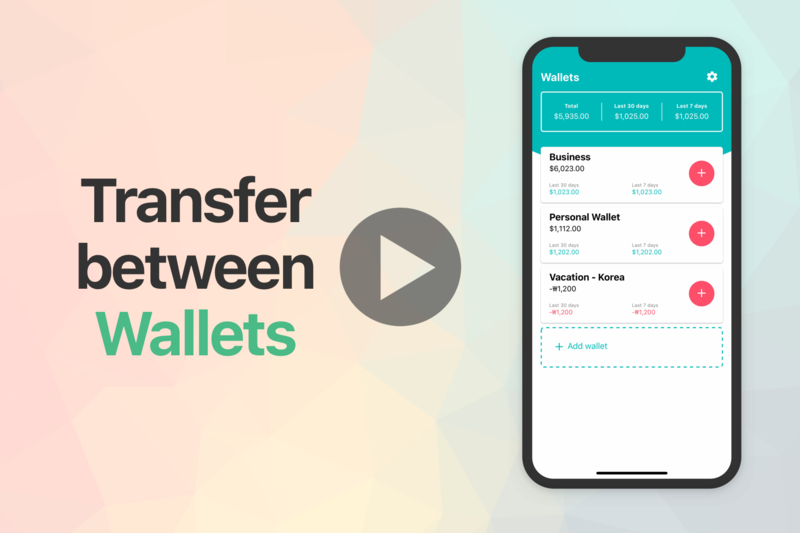 It’s so easy to transfer expense or income between wallets. We’ll walk you through how to transfer your ‘pizza’ expense from your business wallet to your personal wallet. Step 1: Tap on the wallet you want to transfer from. Step 2: Tap on the ‘pizza’ expense you want to move. Step 3: Tap on the wallet drop down. Step 4: Tap on the save icon. Well done! you just moved your pizza expense to another wallet.